My PhD research was mentioned on Mock the Week recently. I almost spat my spag bol across the room! You can imagine my surprise that a topic that I had wrestled with for years had become so topical that it had made it onto a prime time comedy show. The argument (for comedy value only) was put forward that we should be killing badgers because they eat hedgehogs. And then lo and behold, someone said that they not only eat hedgehogs but also skylarks! The effect of badger removal on ground nesting birds was the question my thesis was attempting to answer. Unfortunately, we can’t insist that a comedy show presents such topics along with the required scientific caveats such as “the evidence suggests….” These sort of asides tend to kill a good joke. Believe me, I have first-hand experience! However, I think it highlights a fundamental point that goes to the heart of not only the badger and bTB issue, but also to the heart of many socio-economic issues. Since then, she has changed her mind about the cull, and now regrets voting for the cull in the parliamentary debate. She has also signed the Early Day Motion 299 calling for a parliamentary assessment of the pilot badger culls and a vote on its wider roll out. Many of you will be familiar with my views on the current TB control policy from my past opinion pieces so I won’t go over them again here. But I do want to highlight two related points that also have wider relevance. Firstly, when science is reported in the media it is quite frequently (in fact in my experience almost always) misrepresented. The simplistic notion that killing badgers will help ground nesting birds is a case in point. Secondly, the devil is often in the detail and the reality of ecological relationships is often so complex that it does not fit comfortably with today’s ‘sound-bite’ journalism. To the non-scientist, the implication of saying that badgers eat skylarks is that surely it would be a good thing for skylarks if badgers didn’t eat them. One could (if you were a teenager) respond to this by saying “Dur!” OK say for a minute this is true. How would you stop badgers eating skylarks? Well I guess you’d either sit them down and explain that it’s simply not on, or you’d remove them from the vicinity of skylarks, say, by shooting some… But if you did this, do you think skylarks would breathe a big sigh of relief? Would they be any safer? I’ll come back to this particular issue shortly. This is a great example of how an intuitive response can be utterly wrong, i.e. badgers eat birds, therefore if you remove badgers, bird numbers will increase. There are lots of animals that eat eggs and young birds, including foxes, weasels, stoats, mink, polecats, otters, hedgehogs, rats, sheep, cows, mice, snakes, crows, pheasants and many other birds…it’s a long list, and yes you did just read sheep and cows. So if you remove badgers what do you think happens to the poor skylark? Do you think all the other predators when they come across a skylark nest refuse to eat it because they’ve “had their share”? Of course they don’t, they fill their boots. Why would they turn down a free meal? It could be the difference between them or their young, living or dying. All these other predators are simply taking up the slack in the system created when you remove badgers. Of course the interaction between badgers and all the other predators is highly complex and interwoven. For example, badgers actually eat some of the other predators of birds’ nests, such as hedgehogs. The effects of removing a top predator can be varied and far reaching, but isolating the exact mechanism by which an ecosystem changes after badger removal is very, very complicated – as I discovered! 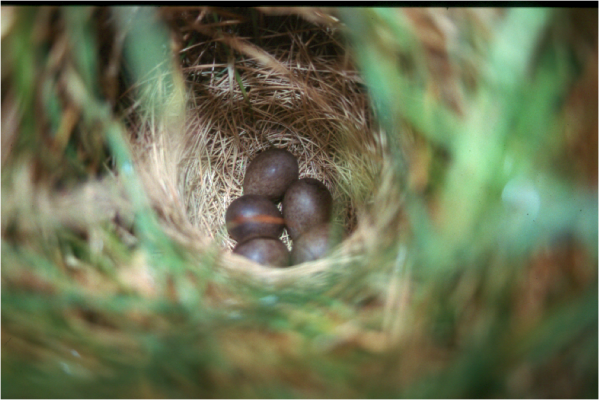 In order to investigate the effect of badgers on ground nesting birds I used a number of methods, one of which was to put eggs out in artificial nests on the ground for 12 days (the same time it takes skylark eggs to hatch) and then monitor what happened to them. By using video cameras I managed to get excellent footage of a variety of egg predators. Badgers certainly did eat eggs, but so did foxes and many other species as mentioned earlier. But the greatest cause of nest destruction was cows! Fifty percent of nests were lost to cows, and many of these were eaten, while the others were trampled. An example of how observation alone can lead to false conclusions was wonderfully highlighted during this experiment. It is often thought that good field workers can look at egg shell remains at a predated nest and identify the species responsible, and I’m sure that in some situations this is the case. However, one event caught on film nicely illustrates the problem of misleading evidence. I have footage of a nest being trampled by a cow, half an hour later a fox arrives, presumably attracted by the smell of the broken eggs, and eats the remains. Without the video camera and just using the evidence in the field, this nest would have been recorded as having been predated by a fox, but it is obvious from the footage that the cow was the cause of the nest failure, not the fox. When asked what influence badgers had on ground nesting birds my first port of call, however, was the scientific literature to find out what had been discovered on the subject already. By reviewing hundreds of previous studies I was able to collate and analyse all the data published on the diet of the badger. If you look for evidence of bird remains in the stomachs and faeces of badgers (I know, nice job hey? ), you find that bird remains occur in an average of 7.97% of all UK samples. This may sound like a lot and you may think that if 7.97% of everything that badgers eat is a bird then surely they must be having a significant effect on the UK population of birds? But hang on, how many of these cases were the result of predation? How many times did a badger kill a healthy bird or eat a viable egg? Couldn’t they have been dead birds or broken eggs that badgers simply came across and snaffled? Well, yes they could, but the problem is that you can’t tell this kind of thing apart from the remains. So an unknown proportion of the birds in a badgers diet could actually be carrion. This figure of 7.97% has been misused numerous times by various bodies and the media, often to portray badgers as ‘mass murderers’ of birds and to implicate them in the decline of ground nesting birds in the UK. The sub-text of such pieces is often that “we must kill badgers to reduce TB (presented as a given which is beyond question) and look it’ll also help our poor birds!” When you know the real evidence or rather the absence of evidence behind these stories, life can be incredibly frustrating……and messy. Never mind the spag bol on my TV, my radio is also covered in muesli! 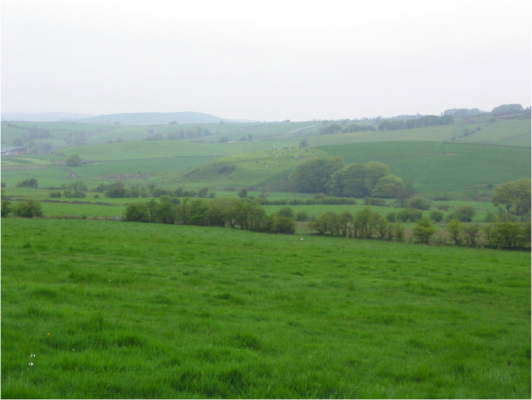 Meanwhile there is a huge body of published evidence that clearly shows that the declines in not only ground nesting birds but many other farmland birds in the UK, is largely down to changing farming practices. In the pastoral landscape (where we also inadvertently ‘farm’ badgers, as we do when creating the perfect environment for cattle) there have been dramatic changes – widespread drainage, ploughing up of ancient meadows and re-sowing with grass mono-cultures, huge inputs of fertilisers and pesticides and associated increases in livestock densities have all played a role in the decline of ground nesting birds. Badgers do eat birds and eggs but their impact pales into insignificance when compared to that of modern farming practices. Is saving ground nesting birds from predation an added bonus to the current badger cull? Will culling badgers help reverse the demise of ground nesting birds in the UK? Emphatically, no it will not. 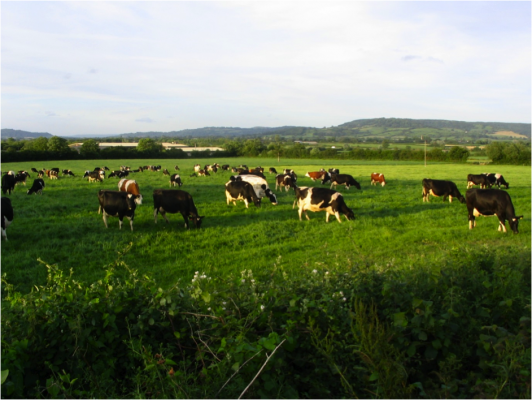 I leave you with a final irony: the badger cull is supposed to help cattle farming in the UK, the industry that is a principal cause of the decline in ground nesting birds, not badgers! 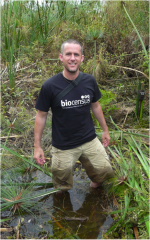 Dr Tim Hounsome is the Founder and Managing Director of the ecological consultancy, Biocensus. Before setting up Biocensus, Tim spent ten years working on the badgers and TB issue. This included conducting research for his PhD on “The Effect of Badgers and livestock on Ground Nesting birds”, and he has published a number of scientific papers on the subject. He also blogs regularly at http://blog.biocensus.co.uk/. This article was first published on Badgergate. It is also published on Biocensus.